This album will no doubt sell well but I believe this is the album that will see them lose a lot of longtime fans. So, the new Within Temptation is finally almost here. Originally due to be released in December it was announced just a couple of weeks before the release date that it had been postponed till February 2019. It’s not a good start to their new record deal and to be blunt it really had a negative impact on the band’s tour late last year since people heard 4 or 5 new songs and by that point had only heard one of them before (the first single, “The reckoning”). A show that opened with 3 new songs was definitely slow to get going. Talking about the new album, lead singer Sharon den Adel says: “Resist is a true milestone for us. If it wasn’t for Resist, Within Temptation wouldn’t be here anymore. With this record, we’ve taken inspiration from modern music and gave it a face – a very dark one. Sometimes it feels that today’s pop music lacks a rebellious edge. Listening to the album my first thought is that this album is going to alienate a lot of their long-time fans. I’ve been a fan of the band for many years, have all the albums and have seen them live almost 20 times over the last 12 years, and would normally be excited at hearing a new Within Temptation album. Sadly the singles and the live shows left me feeling underwhelmed by the new material, and hearing the album I’m not blown away. It just feels like “all filler, no killer”. It’s hard to put my finger on why it feels disappointing – Sharon’s vocals are great and there are some nice heavy riffs. Everything just feels a bit flat and muted though – maybe thats the production, or maybe it’s just how they wanted it to sound. The album opens with “The reckoning” which features guest vocals from Jacoby Shaddix. It’s the strongest track on the album by far as it packs more of a punch than the other tracks. “Raise your banner” was the song Within Temptation chose to open their shows on the last tour and as most fans hadn’t heard it before the show, it just fell flat. Even after hearing it multiple times, it’s still not a strong song – certainly not strong enough to justify opening a show with it. It’s not a bad song as such – it just isn’t strong enough particularly when compared to their previous albums. I enjoyed their last tour although it was very slow to get going thanks to playing the new material, but I have to say that when playing with a good support act like Beyond the Black, Within Temptation felt like the old guard being outperformed by the new challengers, and this album really does nothing to change that opinion. In fact they suffered similarly to how they did live as before listening to this album for the first time I listened to the new Delain single – and I think the Delain single is by far the more impressive, so as with Beyond the black being more impressive than Within Temptation live, Delain are the more impressive with their latest release. I can understand the band wanting to try new things, and I’m sure this album will go down well with some fans – and being commercially successful, but I do see it being the album that sees them lose a lot of longtime fans. No doubt there will be plenty of diehard fans who will strongly disagree with me on this, but I stand by my opinion that this is the album that will see them lose a lot of longtime fans. 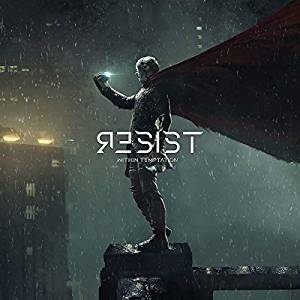 Although I’ve been a fan of Within Temptation for many years, I won’t be buying this album – which is something I never expected to say.